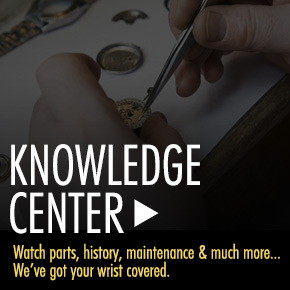 Seiko is easily one of the most popular and recognizable watch brands in the world. 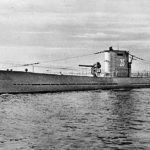 Founded more than a century ago in the late 1880’s, this Japanese watch brand came into world prominence with the debut of the Grand Seiko automatic watch in 1960. This classic men’s watch offered precision craftsmanship and affordability in comparison to the costly Swiss-made models of its era. In 1969, Seiko introduced the Astron timepiece, the world’s first quartz watch. 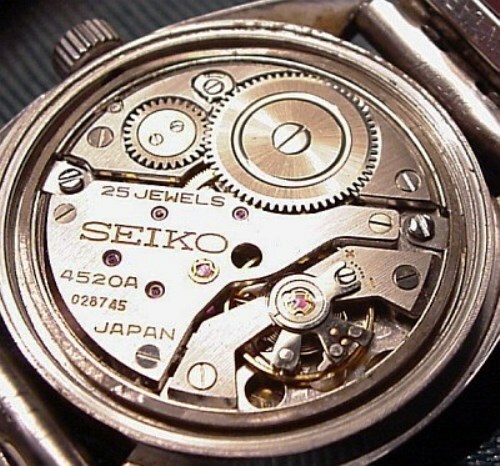 Several years later, Seiko followed with the first quartz powered chronograph. Seiko is also one of the first watchmakers to introduce digital watches with their six digit dial quartz timepieces in the early 1970’s. This innovative horological spirit continued in 1989, when Seiko introduced the Kinetic quartz watch, the world first’s quartz watch that relied on the power and movement of the wrist to remain operating without the battery having to be replaced. 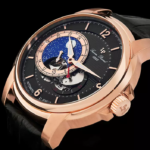 The Kinetic hybrid movement was not only revolutionary and economical it was also environmentally friendly, since the battery inside does not have be replaced or discarded. More recently Seiko added Solar watches to their assortment. Similar to the brand’s Kinetic timepieces, Seiko Solar quartz watches have built-in solar chip panels that reflect sunlight or any light source to remain powered and will never require a new battery. 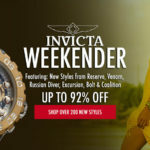 You’ll find many Seiko men’s and women’s watches featured this week at WorldofWatches.com, including styles from the popular Neo Classic, Neo Sport, Superior and Solar series. Ultra-bold and masculine, the Seiko Superior Automatic men’s watch makes a statement in black ion-plated stainless steel. The amply proportioned case in a satiny brushed finish is presented on the matching triple-link bracelet in a brushed and polished finish with a convenient fold-over clasp closure. The unidirectional rotating black ion-plated steel bezel with yellow screened compass makers encircles the back dial with luminous sword hands and raised, outlined Arabic numeral hour markers in yellow. Features include an automatic date window between the 4 and 5 o’clock hours, along with water-resistance to 100 meters or 330 feet. Seiko automatic men’s watch is 45mm in diameter and 12mm thick. 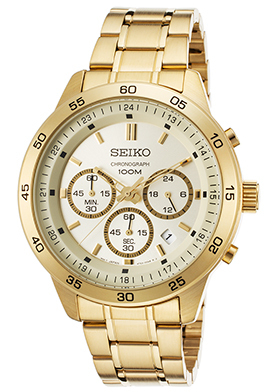 The Seiko Neo Sport Chronograph for men strikes a cool, sophisticated note in brushed and polished yellow gold-tone ion-plated stainless steel. The perfectly round yellow gold-tone stainless steel case has a mirror-bright, polished finish. The handsome multi-link bracelet in brushed yellow gold-tone stainless steel is accented with polished yellow gold-tone accents. Bracelet has a push-button fold-over clasp for added security and convenience. The stationary yellow gold-tone bezel with engraved markers surrounds the attractive champagne colored dial with three sub-dials, yellow gold colored skeleton hands and baton hour markers. Features include an automatic date window, small-second, 60-minute and 24-hour registers. Additional features include a Hardlex crystal above the dal and water-resistance to 100 meters or 330 feet. Seiko Neo Sport men’s chronograph is 44mm in diameter, 12mm thick and features quality quartz movement inside for precise time-keeping accuracy. 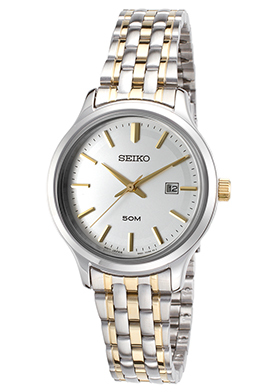 The Seiko Neo Classic women’s watch offers understated elegance at its best in two-tone stainless steel. This striking contemporary women’s watch is smart and appealing. The perfectly round case in stainless steel is highly polished to a mirror-bright glow. The multi-link bracelet in brushed and polished stainless steel in accented with polished yellow gold-tone accent links. The stationary bezel encircles the attractive silver-colored dial with polished yellow gold colored hands and baton hour markers. A window at the 3 o’clock hour reveals the automatic date calendar. 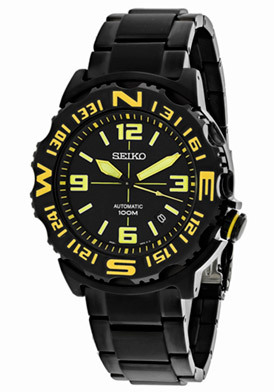 Features include precise quartz movement inside and water-resistance to 50 meters. Seiko Neo Classic women’s watch is 31mm in diameter and 7mm thick. 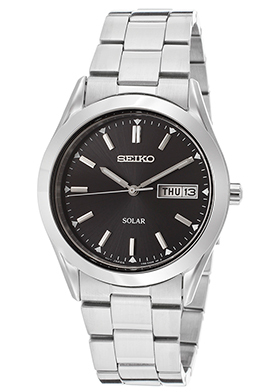 The Seiko Solar men’s watch offers classic contemporary lines with high-tech solar quartz movement inside. The perfectly round case in brushed and polished stainless steel is presented on the handsome triple-link bracelet in brushed and polished stainless steel with a convenient push-button clasp closure. The stationary bezel encircles the metallic black dial with luminous hands and baton hour markers. A window at the three o’clock hour reveals the automatic day and date calendars. Features include a Hardlex crystal above the dial and water-resistance to 30 meters or 100 feet. Seiko Solar men’s watch is 38mm in diameter and 10mm thick. Vintage Seiko automatic watch interior image courtesy ot Wiki Commons. Last Chance Memorial Day Savings: Up to 92% off While Offers Last.